Let's Talk Albuquerque! : Are Short Sale Really Worth it? Are Short Sale Really Worth it? I have been investigating the subject of Short Sale for the past six month. I have gathered a quite a bit of information from books, blogs, and agents who have done these types of transactions. One would expect that at this point in time I would be close to making a decision, and you would be wrong. I find myself intrigued by Short Sales, but is reluctant because of the abundance of frustrations which seem to emanate in this niche. It almost seems like a relief when an agent completes a short sale. To add to the matter, some banks refuse to pay the full realtor's commission. Please someone, tell me the up-side? I don't really have an upside. We have 4, offers on 3, just got the last one. The banks are taking months to get back to us. Buyers get antsy and go find something else. Now I have buyers wanting REO's. Well a little tidbit of info. The bank can accept other offers til the day it closes. So even if your client's offer is accepted does not mean they will actually get to make the purchase. Hows that for a kick in the pants? The upside would be that it saves your seller from a huge impact to their credit for the next 7-10 years from foreclosure. It's the right thing to do, however, it does require a lot of patience and work. People will forget what you did, they will forget what you said, but they will never forget how you made them feel. If you make that seller feel better about themselves and their overall situation, they will be clients for life and you should get a lot of referrals! We close ALL of our short sales, we get paid on every single one of them. It is now the bulk of our business and we are expanding across our entire state of Florida to do them. We just added on a buyers agent because we are too busy with listings and short sales to show homes. We also just added on an in house attorney to our company that does loss mitigation, foreclosure defense and bankruptcy and takes on our short sale files when we are busy and we are now going to be giving him our new files so we can spend our time getting more listings. You can contact me more about it and read my short sales series on my blog here on Active Rain. I love short sales, we save homes and help people rebuild their lives after falling down. Do you want a promised commission? Can you work for 0? Lloyd, I have not run into a bank that won't pay the commission unless you're referring to a bank that has an unrealistic sale pricve in mind. Just keep in mind not all of the short sales will pan out, and most of them should if you're in contact with everyone in the transaction. Absolutely the are worth it! For two very important reasons. First, traditionally, the best way to get new buyers is to have listings. He who has the most listings wins! What better way to attract new customers than listings that are priced below market. Second, in my market areas, most of the properties that are selling are being sold cheap! Short sales can be priced cheap to get them sold. Now of course for the downfall. Tons of paperwork and communication, and patience! It really helps having a good system and team to help with stuff! by the way I am new today to the Group..
Lloyd, I can't imagine doing anything else. I truly enjoy doing short sales and it is the bulk of my business. I chose to set out and help the distressed homeowner and did all that I could do to arm myself with the knowledge necessary to help my customers. It's not for everyone, however if you choose to do them, do it with all your might! Yes, it's hard work but it's very rewarding; saving a homeowner from foreclosure - there's nothing like it and I'm honored to be trusted in making a difference. I think it is rewarding to help people recover from bad decisions. Also, there is a real willingness to do what the agent (expert) instructs. Matthew- What a great point you make! I love your comment because it is SO true! Sellers in this position are willing to show their home, keep it clean and tidy, they don't complain about commissions. In fact, the opposite is true, the very first thing they say to us is are you sure you are going to get paid. They know how much work we put into the short sale and are SO appreciative. 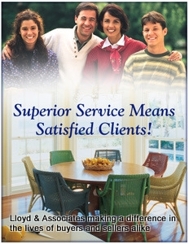 Our best testimonials come from closed short sale sellers. I am still on the bubble myself. Luckily I don't have buyers at the moment but they will probably want to see the short sale properties when I do. KATHY, There shouldn't be any other offers submitted to the lender. The contract is between the Seller and the Buyer, the lender is merely a contingency of the contract and should be treated as such. It is very important that you interview the Realtor and determine if they are submitting multiple contracts. If they are, stay away. In the event you're the first contract you should add verbage into the contract stating that your client gets the right to match any subsequent offer they receive. If you're client does not wish to match the offer then your client can be released from the contract and their deposit returned. Everybody need to treat these short sales as a regular contract between a buyer and a seller. LLOYD, Much of the fear for the short sale market comes from the lack of knowledge. These type of sales will be the majority of sales throughout the country. Even if you work with buyers you will be dealing with short sales. The problem with that is the buyers agent has no control over the process and can end spinning their wheels an become even more frustrating than if they had the seller. The entire short sale process is simply a system that needs to be followed closely. You need to gather the paperwork that will be necessary for submission to the lender. The big trick is to furnish ALL the necessary documents at one time. A lot of time is wasted when the package is incomplete. It can take days to find out there are missing docs. The Loss Mitigator will just set your file aside and work on another file. That is by far the biggest reason for delays. Please remember that these people literally handle hundreds of files at one time and have to fill a quota. Do you think they will spend their time on completed files or they will spend time tracking you done for a doc? Send it in by fax AND send a copy by mail. You should also look for and interview for short sale processors in your area. They can often help with the paperwork and especially the negotiations with the bank. Like I said, the trick is getting all the necessary paperwork at the listing appointments. After doing a few you can get some basic documents that you will ALWAYS needs. The documents include a Hardship Letter, Hold Harmless Letter, Authorization to Release (give you permission to negotiate with the bank on behalf of your client),Short Sale Disclosure, Short Sale Addendum & the Homeowners Financial Worksheet. Those are the basics and you can add more as you go. You need to get these docs filled out and signed at the listing appointment. As far as the commissions, the lenders are not really fussing with the commissions. They understand that they'll have to pay them now or pay them later (if it becomes an REO). Some banks will ask for a reduction but will later relent. Believe me that they will not incur the costs of a foreclosure to save $3,000. Go for it! Sooner or later I will run into a short sale but I am working hard to make sure I don't. GENE-The key is to get an insight of how the process works and not base your desicions on the nightmare stories you might be hearing. I suggest you take a look at this and embrace this niche that can take you to level you never imagined.